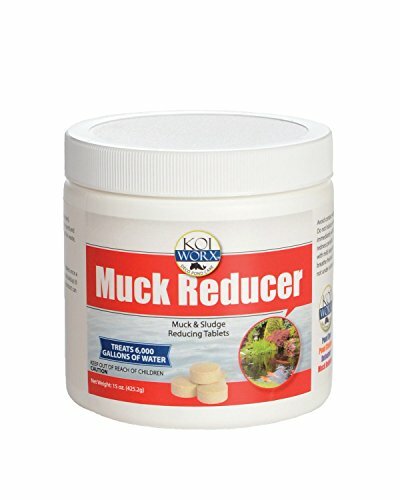 Do you fight think muck and sludge on the bottom of your decorative koi pond? This is the product for you. Koi Worx Muck Reducer is designed to sink to the bottom of the pond and begin working on deep sludge deposits caused from dead algae, leaves, and fish waste. The tablets are a blend of natural beneficial bacteria. If you have any questions about this product by Koi Worx, contact us by completing and submitting the form below. If you are looking for a specif part number, please include it with your message.